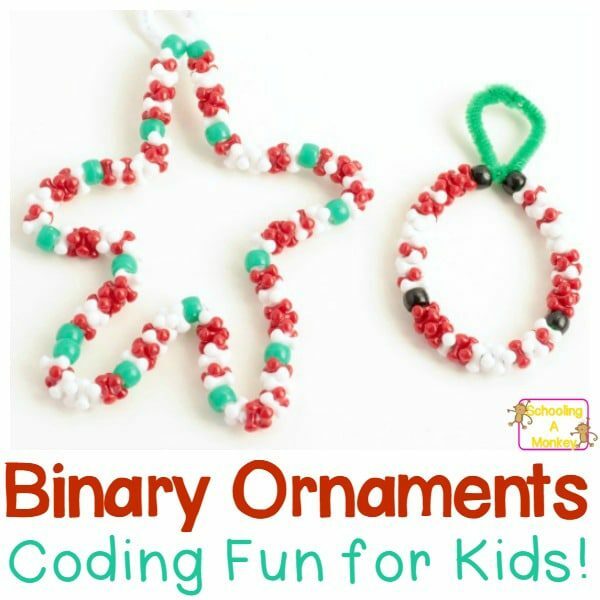 You won’t believe how fun it is to make binary Christmas ornaments with names written in binary. 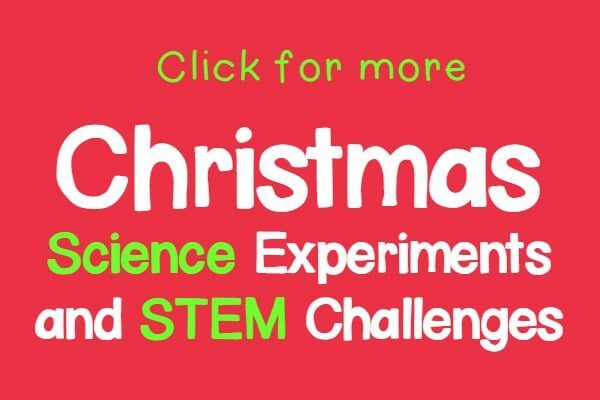 Christmas coding with kids is the perfect technology activity! So, we’re pretty nerdy around here, in case you haven’t noticed. We love all things science, technology, and video-game related. We were having such fun making ornaments this year that I wanted to see if we could make a geek-related ornament (and maybe even give them away to my equally nerdy family). I have seen binary used before to make jewelry, but I thought it would be just as fun to make Christmas sayings for a Christmas STEM activity. 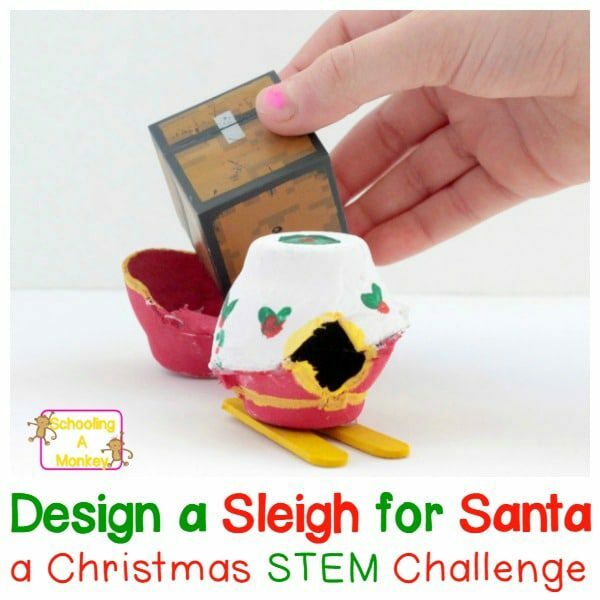 Read on to see how to make these adorably nerdy ornaments to practice coding with kids! After we had picked our phrases, we looked up letter coding in binary using this chart. Ho Ho Ho fit on a wreath. Merry Christmas was much longer, so we had to turn it into a star. It took two pipe cleaners where the wreath only took one. 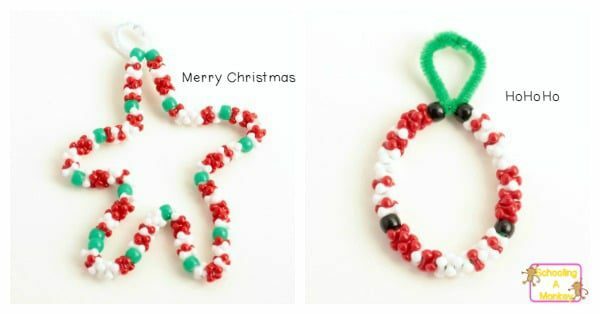 For Merry Christmas, we decided to put a bead separating each letter, than two beads separating the words. For Ho Ho Ho, we didn’t separate the letters, just the words. 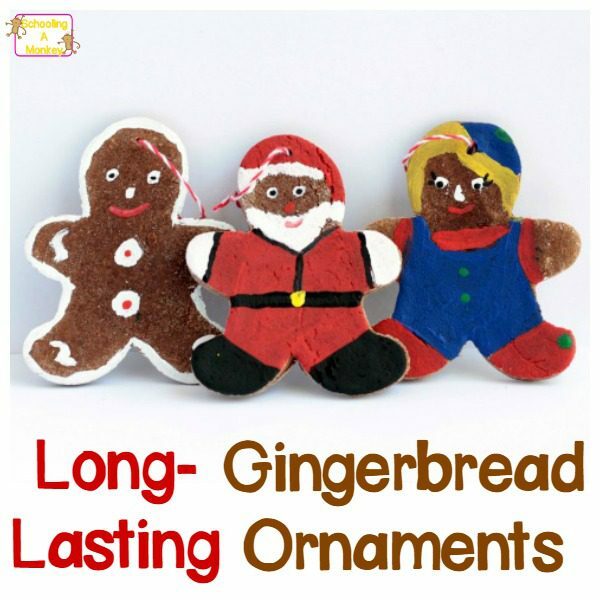 The kids thought it was a lot of fun to have hidden messages in our Christmas ornaments. 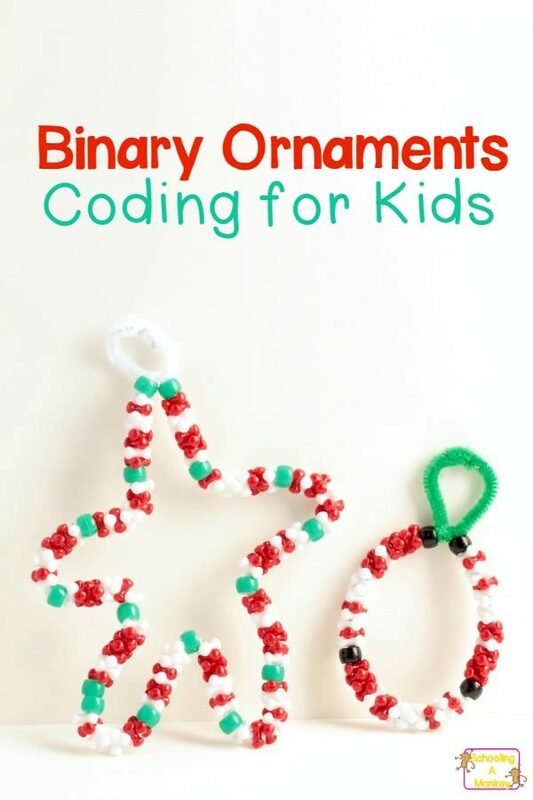 They wanted to learn more about binary, so as we worked to make these ornaments, we talked about how the computer uses binary to do just about everything. 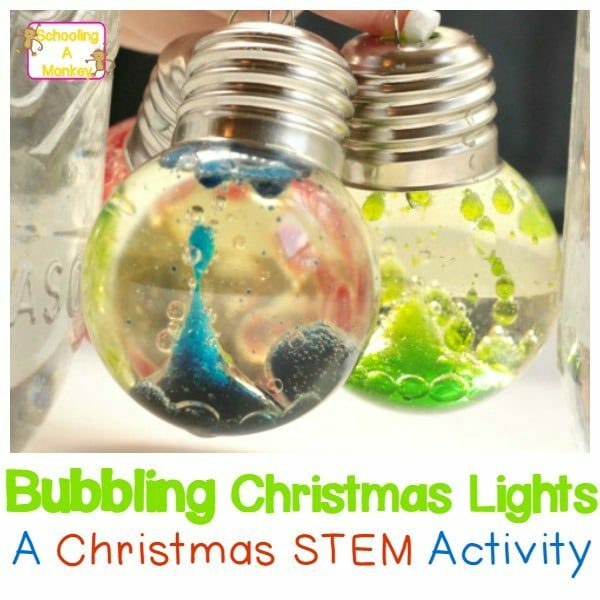 This was certainly a fun activity to try coding with kids!